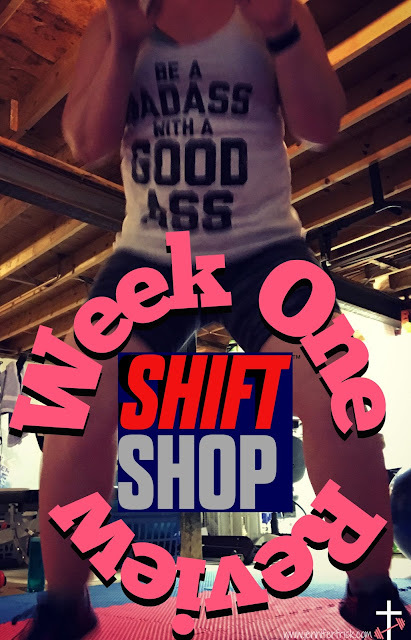 Last Monday I started a new program called Shift Shop. It's a brand new 3 week program from Beachbody - complete with nutrition plan and workouts - meant to ramp up results and help you make both a physical and a mental "shift." I have to be honest: before I started, I was both intrigued and scared of the meal plan. Why? Because it's the first meal plan put out by Beachbody that is completely grain free. Now, when I say grain free, I mean truly grain free! No breads, no rice, no quinoa, nothing. Considering that the Mister and I usually have rice or quinoa every night for dinners, this meal plan is a huge departure. 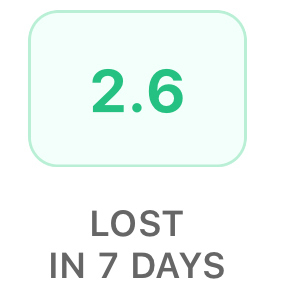 But, I've had a crazy couple of months. My priorities and my focus shifted away from taking care of myself...And as a result? Let's just say that I started Shift Shop approximately 15 pounds heavier than I was in May. I needed a change and a jumpstart. I had the Mister's support. So I committed to 3 weeks of shift shop as laid out, despite being scared and intimidated. The first week of shift shop lays the foundation for the next two weeks. You start out with 25 minute workouts and a meal plan akin to 21 Day Fix without the grains. Each day's workout alternates between a cardio day and a strength day, Monday through Saturday. Sunday is either a rest or mobility day. One thing I confirmed? *This* girl is not a cardio queen. I was sucking air at times- even on 25 minute workouts! Oh, and the other thing I confirmed? I'm of the opinion that mountain climbers - of any sort - are of the devil. Now that the negativity is out of the way, *ahem* let's get to the positives of the week, shall we? While I felt like I would die after Speed :25 the first time, the two times after that? SOOOO. MUCH. BETTER! Still kicked my bum, but it was at least doable. Oh, and as much as I am not a cardio queen? I DO love my weights! I found Strength :25 interesting, challenging, and lots of fun! Can't wait to see what he pulls together for Strength :35 and :45! Now, let's talk about the food. I am one of those people who is always up for adventure, always ready to try something new. I live for novelty. Therefore, if I wasn't allowed my rice or grains, I decided to branch out and throw things together. I realized that edamame is amazing in an egg scramble. I also realized that burgers taste just as good "naked" or wrapped in lettuce as they do on a bun. In fact, the burger sometimes has more character without the bread! Finally, I realized that this meal plan is EASY to follow at a restaurant. I brought my little orange container of dressing and a red container of Greek yogurt out with me, and boom! My dinner consisted of macadamia nut encrusted chicken, a side salad with my perfectly portioned dressing, and a plain baked potato with my portioned "sour cream." I feel GOOD. I mean, my head is incredibly clear - there's been NO brain fog in the afternoons. I haven't been tired. I've had energy all day. 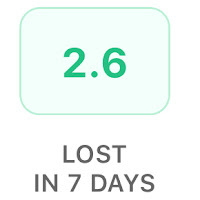 I can do this, and - crazy though it may sound - I am ENJOYING my food immensely! Can't wait to see what happens over the next two weeks! Do YOU need a jumpstart? Do YOU need a shift? I'm starting to put together my ideas for my next group, and I'd love to introduce you to this crazy program! Fill out the form below, and I'll reach out within the next 48 hours.